The Joint Inspection Unit (JIU) is the only independent external oversight body of the United Nations system mandated to conduct evaluations and inspections system-wide. It seeks to ensure that the optimum use is made of resources available, and to enhance the efficiency of the administrative and financial functioning of the United Nations system. The Unit also seeks to identify best practices, propose benchmarks, and facilitate information-sharing throughout the system. How was the JIU created? JIU was created on an experimental basis under General Assembly resolution 2150 (XXI) in 1966 and extended several times. By its resolution 31/192 of 22 December 1976, the General Assembly decided to establish the Joint Inspection Unit as a standing subsidiary organ, with effect from 1 January 1978. The Unit is responsible to the General Assembly, and to the competent legislative organs of specialized agencies and international organizations within the United Nations system, which have accepted its statute. What makes the JIU mandate specific in the UN system? JIU has a unique mandate and opportunity to look at cross-cutting issues throughout the United Nations system and be an agent for change across the system, to secure administrative efficiency and achieve greater co-ordination between organizations. How is the JIU composed? The Unit consists of not more than eleven Inspectors. Inspectors are appointed by the General Assembly based on their experience, taking into account the principle of equitable geographical distribution and reasonable rotation. Inspectors serve in their personal capacity and are appointed for a term of five years, renewable once. How is the programme of work of the JIU adopted? The JIU prepares its annual programme of work, based on an inclusive process that seeks to meet the needs of Member States and participating organizations, taking into account: (a) the Unit’s own observations, experience and assessment of priorities, (b) requests received from the competent organs of its participating organizations, (c) suggestions received from the executive heads of organizations; and (d) suggestions received from the United Nations bodies concerned with oversight and budgetary control. How does JIU report on its activities? The Unit has to submit an annual report on its activities to the General Assembly and the competent organs of the other organizations, when appropriate. The Unit prepares reports addressed to legislative/governing bodies of the UN system organizations and notes and management/confidential letters addressed to the executive heads of these organizations. Reports can focus on the United Nations system as a whole or on one or more organization(s) specifically. After being submitted to the executive heads of the JIU participating organizations, reports are presented by the Inspector(s) to the competent legislative and governing bodies for their consideration and follow-up. Reports and notes contain recommendations that are: (a) directed at correcting clear deficiencies with practical, action-oriented measures to solve significant problems; (b) convincing and well-supported by the facts and analysis in the report/note; (c) realistic in terms of implied resource commitments and technical capabilities; (d) cost-effective; and (e) specific regarding actions to be taken. What is the main objective of the JIU report? 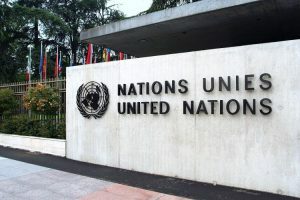 In addition to a comprehensive evaluation of the current status of United Nations and private sector partnership arrangements, the report of JIU is expected to recommend to the United Nations Secretary General and to the executive heads of the other major United Nations organizations a package of action lines meant to strengthen the partnership with the private sector, to improve inter-operability and operational compatibilities, and to increase the contributions of the businesses to the implementation of Sustainable Development Goals. The report aim in particular to promote and find ways to facilitate more coherence and inter-agency cooperation at system-wide, regional and national level. What specific normative and operational areas might be the object of the JIU recommendations? The action lines may concern the revision of the existing “Guideline on a principle-based approach to the Cooperation between the United Nations and the business sector” as to reflect the new approach proposed by the 2030 Agenda for Sustainable Development, the consolidation of a common due diligence system, the development of a system-wide coordinated operational framework, enhancing ownership of businesses at national and regional level, the development of a system of incentives for the performance of private companies in introducing elements of sustainability in their business models etc.